Could Eisenia fetida become fish food? I'm raising Eisenia fetida in my vermicomposting. A few days ago I tried to feed my catfish with this worm (alive worm). The catfish didn't eat my worm. Curiously, I tried again to feed my worm into my turtle. My turtle was just touching and playing with the worm without eating it. With some browsing to internet, I found one blog that was talking about Eisenia fetida is not good for fish food because Eisenia fetida can release foul/fetid odor when threatened. But a lot of articles say that it's fine even good for fish food because of richness of protein and essential amino acids. So, could Eisenia fetida become fish food? Comments for Could Eisenia fetida become fish food? First let me tell you that, apart from worm farming, I'm not the avid fisherman. I might take the rod and reel out for a dip once a year with my kids and I can honestly say that I've never met a fish that could resist the juicy taste or even smell of a wiggly wiggler. Eisenia Fetida do put off a pungent smell but this is only recognizable in large squirms. However animals do have better smell than humans. I'm curious as to when you are feeding your catfish. Is it already full or maybe used to a certain diet? As for the turtle, check what species you have is it an herbivore or carnivorous and is it already full as well? Most turtles are carnivores. Most puzzling indeed. 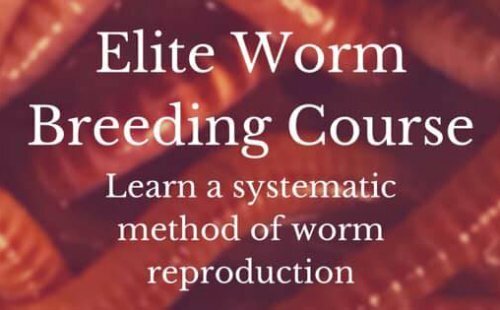 Check your bin and be sure that it is in great shape like not smelly from overfeeding and that the worm is a healthy worm. Although I don't think these would be a factor either. You could always ask someone down at the pet shop. Sorry Yoseph if I'm not much help. Hope you find an answer. If I do I will let you know. Hope some other visitors can help us. I feel really fortunate to have used your webpage and look forward to so many more fun moments reading here. Thanks a lot again for a lot of things. "Toxicity of coelomic fluid of the earthworm Eisenia foetida to vertebrates but not invertebrates: probable role of sphingomyelin"
"A PRELIMINARY INVESTIGATION OF THE NUTRITIVE VALUE OF THREE TERRESTRIAL LUMBRICID WORMS FOR RAINBOW TROUT"